This ultra low-budget quickie from W. Lee Wilder capitalized on western interest in the adominable snowman or Yeti that peaked during Eric Shipton’s exploration of Mount Everest in 1951, and Sir Edmund Hillary’s scaling of Everest in 1953. During the later expedition, Hillary and sherpa Tenzing Norgay photodocumented several large indistinct prints in the snow at an altitude of approximately 20,000 feet above mean sea level. The images created an instant international media sensation and as far as I know, this was the first film to capitalize on public interest in the Yeti (the far superior Japanese film Jujin Yuki Otoko (“Monster Snowman”) came a year later in 1955). The film’s plot reminds me a bit of King Kong (1933), with an expedition to a far off land stumbling upon an archaic throwback which is captured and brought back to civilization, where all hell breaks lose. The plot of The Snow Creature (1954) sounds a whole lot better than it actually is. 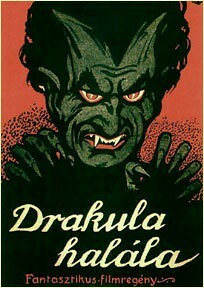 However, the film is worth watching and is passable if not entertaining monster nonsense. 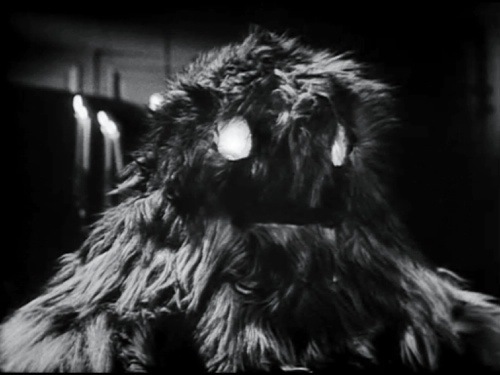 The Snow Creature (1954), reviewed here. W. Lee Wilder was also Billy Wilder’s brother. They both apparently had a sense of humor. 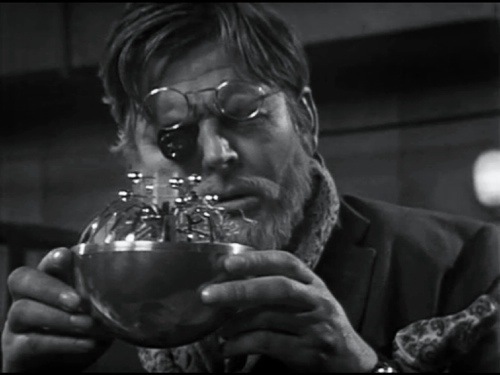 The film stars Paul Langton (The Increadible Shrinking Man, 1957) as botanist Dr. Frank Parrish, who leads an expedition to Tibet searching for rare uncatalogued plants (with a plot device a bit similar to the opening of Werewolf of London, 1935). Langton’s not bad in the lead role. Along the way some of his crew are picked off by a mysterious unseen force that looks suspiciously like one of the drones from Invaders from Mars (1953). Interspersed between considerable stock footage of mountain climbing is some decent and atmospheric photography helmed by veteran cinematographer Floyd Crosby (High Noon, 1952; The Pit and the Pendulum, 1961). 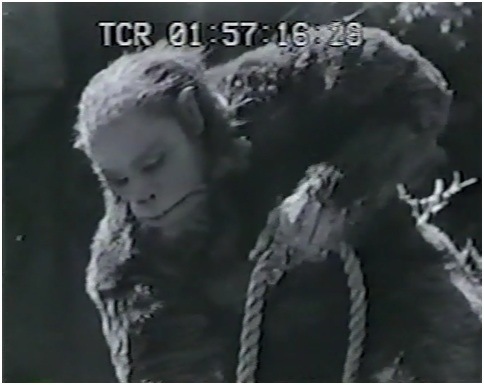 Along with Jujin Yuki Otoko and Hammer’s similar The Abominable Snowman (1957) this is probably the best looking of the Yeti films from the 1950’s and 60’s (I recommend The Bigfoot Filmography for a full rundown). Of course the crew captures (no spoilers how) the Yeti and places it in a makeshift fabricated ice box for plane transport to Los Angeles. The urban scenes are reminiscent of THEM! (also 1954 —I wonder which film came first? ), with our monster hunters tracking the yeti through the subterranean sewer system of L.A. Will they find him? 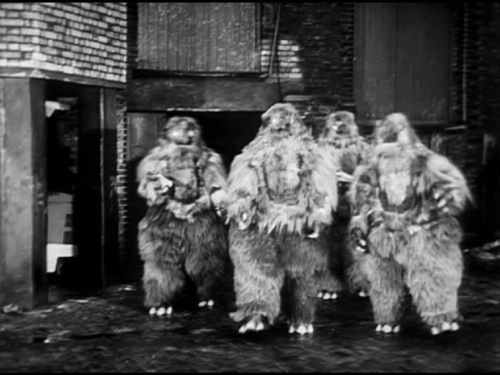 Actually, the yeti suit was a left-over purloined from Invaders from Mars. Here’s a better (publicity) shot of the monster. Many years ago, after Jackie Gleason passed away several videotaped episodes of the Honeymooners were discovered and released through Gleason’s estate. I’ve seen some of the lost shows, and having watched the syndicated classics over and over (Norton: “Helloooooo ball….”) the newly discovered episodes were disappointing. Ralph wasn’t Ralph and the vide wasn’t the same. 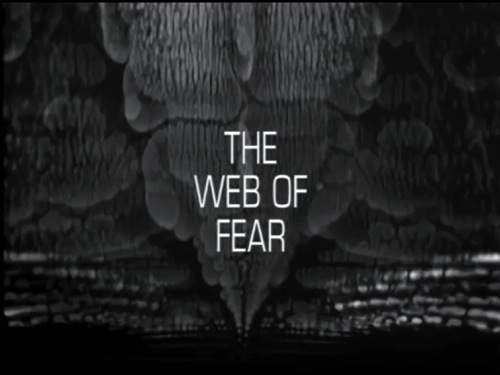 I can’t say the same about The Web of Fear (1968), one of nine lost Doctor Who programmes recently discovered in a tape archive at the television station in Nigeria. The good doctor’s second incarnation from 1966-1969 was played by London-borne actor Patrick Troughton (The Omen, 1976; Sinbad and the Eye of the Tiger, 1977; Hamlet, 1948). 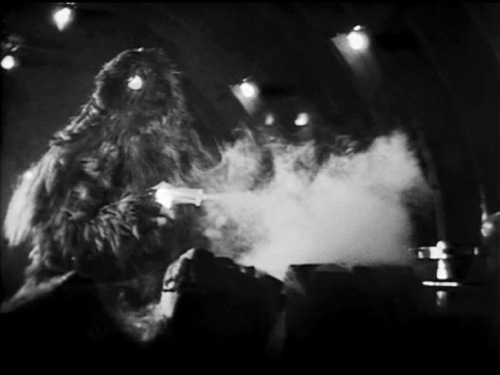 In The Web of Fear (1968, six parts), the Doctor and his companions Jamie McCrimmon (Frazer Hines) and Victoria Waterfield (Deborah Watling) battle robotic “Yetis” dwelling in a London subway. 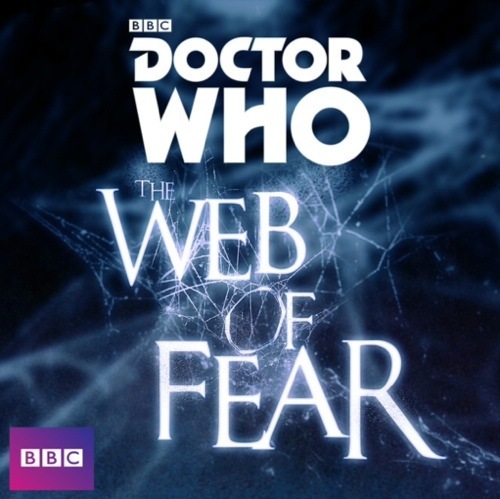 The Web of Fear is more or less a sequel to an earlier Doctor Who programme The Abominable Snowmen (1967), where the Doctor and friends encounter Professor Travers, mysterious silver orbs, an ancient sword, monks, gurus, yetis and an ancient relic the “Holy Ghanta” in a monastery in the Himalayan Mountains. In The Web of Fear, an inanimate Yeti is archived away as a museum piece by Professor Travers’ colleague Silverstein. 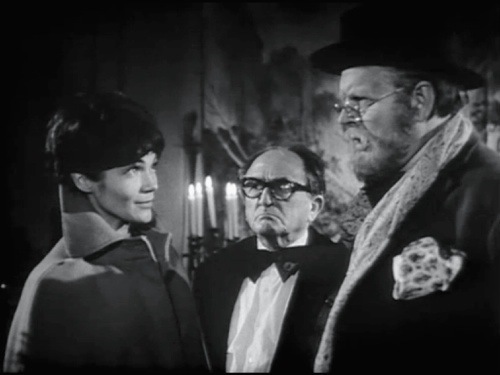 Travers warns Silverstein about the danger of the Yeti, but the curator will have none of that. We soon learn that a silver orb controls the beast and Silverstein comes face to face with a Yeti. I like the design of the Yetis, which are shaggy and rotund, with owl-like luminescent eyes, featureless faces, with stocky claws and bi-pedal stance. They look more a kin to something fabricated in a Jim Henson studio or the Rankin/Bass Bumble from Rudolph the Red-Nose Reindeer (1964) than the popular perception of a hairy, lean, muscular and ferocious anthroponoid. 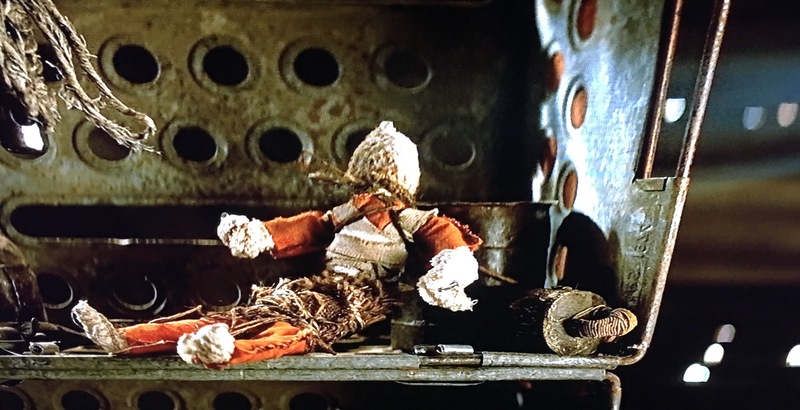 The Yetis also carry sidearms which spit out a silk-like substance, hence “Web of Fear,” that immobilizes both the TARDIS, people and mechanical devices. The script refers to the Yeti webbing as a fungi, which draws attention to the Martian weed in H.G. Wells War of the Worlds. Patrick Troughton was well cast as Doctor Who. I like the forced Beatle mop top on a 40-something year old man. It was obvious that the BBC was going for a more youthful and hip approach after William Hartnell, who was in his mid to late 50’s as the Doctor. Troughton’s doctor seems technically adept fiddling with apparatus and improving the efficiency of the TARDIS. Here are a few screen captures. The Web of Fear is currently available as a down-load fron iTunes ($10). Episode 3 is still lost, but the episode was restored using several stills and audio tracks. I think most Doctor Who fans would have been happy just with reconstructed episodes, but seeing these classic programmes for the first time is really special. Doctor Who: The Web of Fear is not just for fans of the long showing series. I think all sci-fi genre enthusiasts will celebrate this find. The Web of Fear garners my vote for essential viewing and one of the significant finds in the last few years. D. Coleman, 2012. The Bigfoot Filmography, McFarland. Pages 112-115 devoted to the Doctor Who Yeti episodes. Jû jin yuki otoko (transl. “Abominable Snowman”, 1955) was director Ishirō Honda’s seventh film and his second monster genre movie after Gojira (1954). Many of the same people who worked on Gojira also worked on “Snowman”, including Toho producer Tomoyuki Tanaka, writers Takeo Murata and Shigeru Kayama, and technical effects maestro Eiji Tsuburaya. 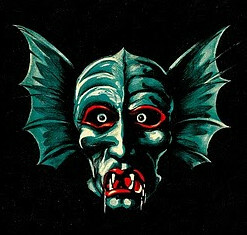 The creature makeup/suit was designed by Toshinori Oohasi. Jû jin yuki otoko is best known today as an unavailable film and a very early entry into the abominable snowman filmography. It is listed by wikipedia as being banned in Japan. The original film is excruciatingly difficult to find and I suspect Toho’s lawyers do an adept job at keeping it off the convention and bootleggers circuit. I managed to view the film on loan as a 94 minute, Time Coded Recording from a Japanese Toho Video (tape) source. The Americanized film Half Human can be found on-line. 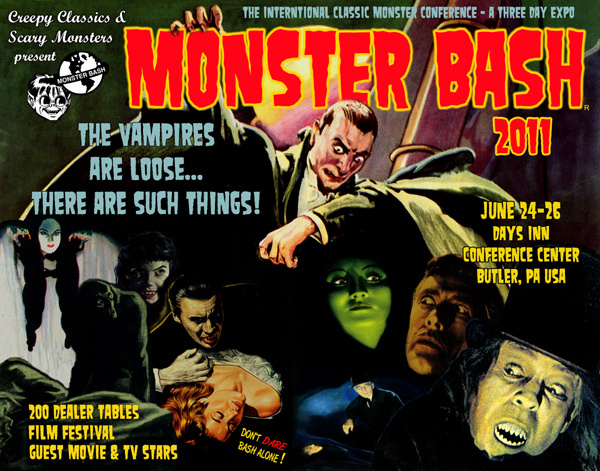 (See also Monsterminions Half Human (1958) review). This Americanized version included clips of John Carradine interwoven with segments of the original Japanese production. 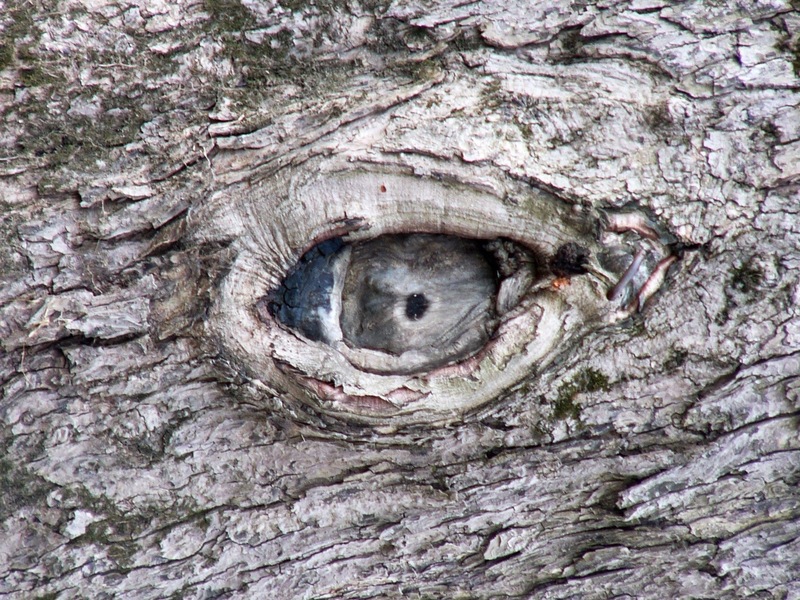 It’s worth taking a peak. As usual, the original uncut film is far superior. The opening title sequence immediately grabs your attention with exquisite matte paintings of Nihon Arupusu and a brassy score composed by Masaru Satō. The main title sounds a bit western with a harmonica piece, like something American composer Elmer Bernstein might have scored. There’s a dash of Bernard Hermann in there too (think The Seventh Voyage of Sinbad). The title sequence ends focusing on a single dominant mountain peak. Presumably this is where the Abominable Snowman lives. 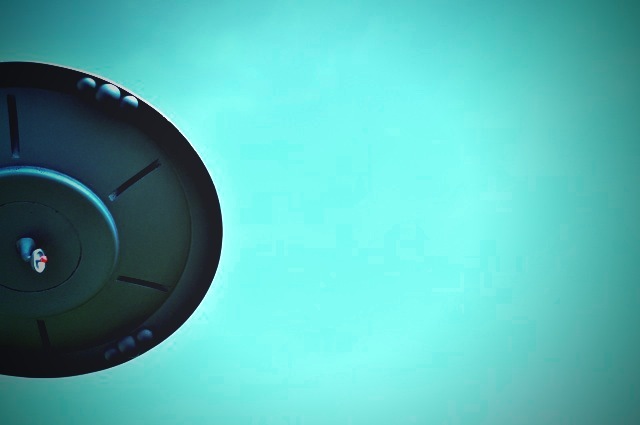 The film cuts to a rainy sequence at a train station. A journalist inquires if the mountain expedition crew has returned. Seven bushed men and a woman sit around a table. One man has a bandaged head. One of the team members reluctantly tells the horrific story of their encounter. 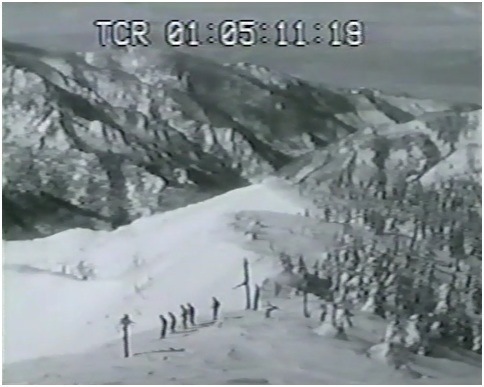 The film dissolves to a flash-back sequence with skiers enjoying a vacation in the Japanese Alps. 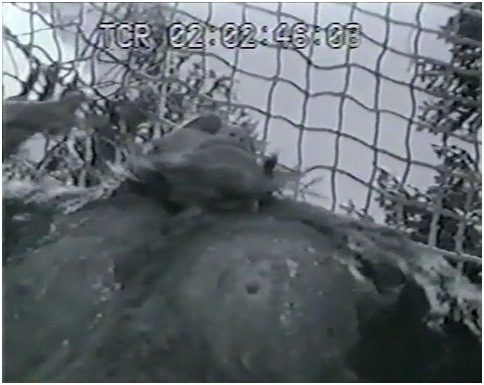 Some of this footage is seen in Half Human. The cinematography was composed by DOP Tadashi Iimura and is unlike anything you would see in an American film from the same period. The on-location photography is distinctly different from the well-illuminated sets, with Kaiju and tanks that Toho technicians would pioneer later in the decade. The skiers include familiar actors who also appeared in Gojira, including Akira Takarada as Takashi and the beautiful Momoko Kochi as Michiko. They return to the ski lodge and are informed about an impending storm. Two members of the ski party seek refuge in a nearby, but detached and remote cabin. Later, one of the missing skiers is found dead in the cabin. Large footprints are found in the snow. Clumps of animal hair are retrieved above a doorway and on the side of a rough wooden panel. The search party is called off for the other missing skier. Later, during warmer weather, another expedition, led by Dr. Koizumi (Nobuo Nakamura, The War of the Gargantuas (1968) and star of several Kurosawa film) returns to the mountain side (valley?) in search of the lost skier and presumably, the Snowman. This is the expedition crew seen in the opening moments of the film. The on-location photography is technically savvy during this stretch of the movie, using several tracking shots and a splendid crane composition that pulls back to show the hiking team against a mountain backdrop and flowing canes of bamboo and other vegetation. 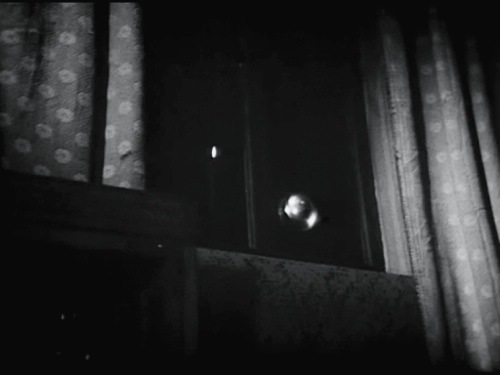 On a moonlit evening the snowman enters camp and in a scene reminiscent of The Creature from the Black Lagoon (1954), very lightly touches the pretty face of Michiko. She screams and the monster flees. Later, we eventually discover the fate of the missing skier, who encounters the snowman. Another expedition team also camps nearby. They are a circus crew -there with the evil intentions of capturing the Abominable Snowman. They eventually capture a juvenile snowman, which they use as bait for luring in the adult snowman. All hell breaks lose soon after that sequence (I won’t spoil the fun if you’re lucky enough to see the film). Jû jin yuki otoko is one of Ishirō Honda’s finest films. I’d rank it a notch below Gojira, but on par with many of his Kaiju and sci-fi classics, including Mothra, The Mysterians, and Rodan (I’m also a sucker for Matango!). Jû jin yuki otoko is different though -perhaps it feels different to me because it hasn’t been in circulation or due to the taboo nature of seeing a banned film. I liken it’s mystique a bit to Disney’s mistreated and misunderstood Song of the South (1946), which Disney has vaulted away forever due to the film’s perceived racist portrayals. (*Frankly I never understood that view as Uncle Remus is the damned hero of the story. To me, Song of the South is no more racist than a Charlie Chan film). Collectors seek what they don’t have and Song of the South is available if you look hard enough. There’s a mystique about that film. Likewise, Jû jin yuki otoko is allegedly banned (and not released by Toho) due to its portrayal of the indigenous Ainu people. In watching the film it reminds me of the cliché tribe in King Kong, with Noble Johnson as the chief offering up Ann Darrow as Kong meat. Years later, when Peter Jackson ineptly remade the film, he feared the worst (or at least the lawyers and studio did) and portrayed the Skull Islanders as elderly Caucasian women and kids. Spare me. Jû jin yuki otoko is rare genre filmmaking and really a noteworthy gem in Honda’s canon of wonderful fantasy films. Hopefully we will eventually see a restored release of the film. Mushroom Clouds and Mushroom Men: The Fantastic Cinema of Ishirō Honda, Peter H. Brothers, 2009, AuthorHouse. Pages 74-81 are dedicated to Snowman. Masaru Satō’s Main Title Sequence SCORE and MORE. ps. Thank you for opportunity to finally screen this film. Ron Adams from Creepy Classics saved me a copy of Half Human (1957), which I picked up at the 2012 Monster Bash. 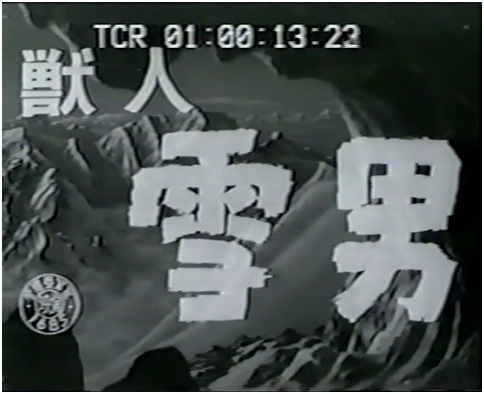 This is the shortened 63 minute American cut of the virtually impossible to find “banned film” Jūjin Yuki Otoko (Half Man Half Snowbeast, 1955) directed by Ishiro [Inoshiro] Honda. See links below. That film is scarce and hard to find in the U.S. (believe me I have looked and continue to strike out). The original film runs around 95 minutes. The American cut includes perhaps 30 minutes of reshot diatribe from John Carradine and Morris Ankrum (Earth vs. the Flying Saucer, Invaders from Mars, How to Make a Monster), so I haven’t seen a good hour of Jūjin Yuki Otoko. 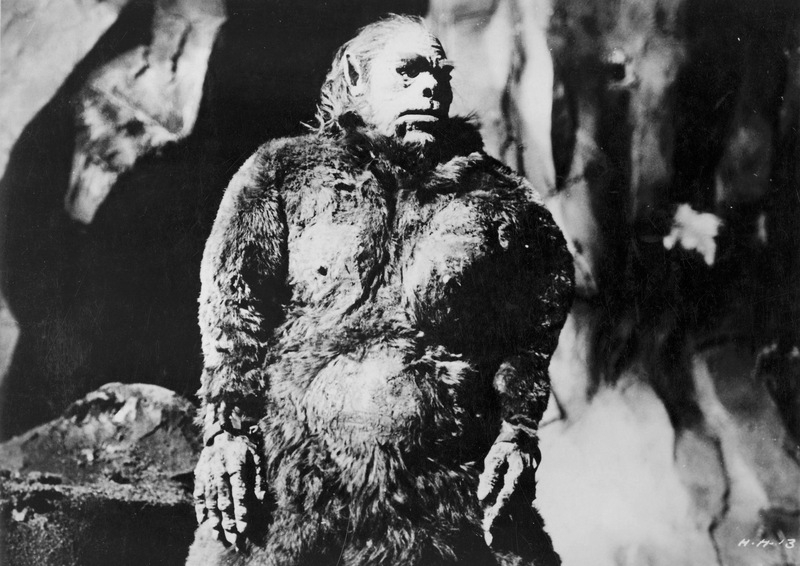 I’m a sucker for Yeti-Bigfoot flicks (Hammer’s The Abominable Snowman (1957) is REALLY good) and Half Human should keep most fans of the sub-genre attentive. 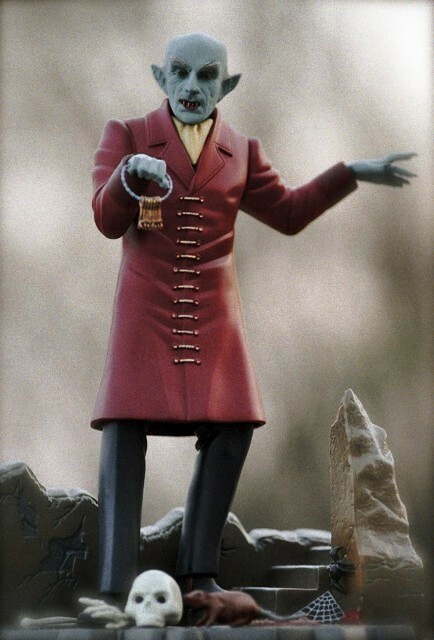 The film is told from a flash-back narrative with Carradine in possession of a mummified ape-like hominid. 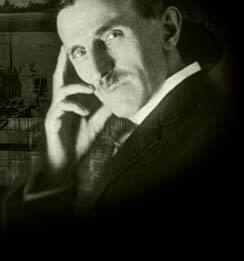 The flash back sequences of course are derived from the original Japanese print. I love the design of the snowbeast. 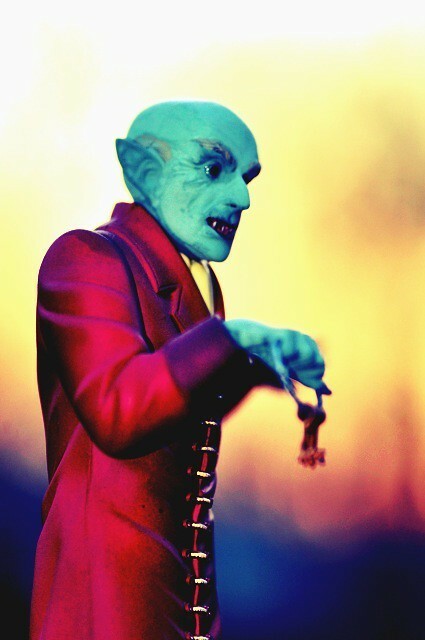 I’m guessing that Eiji Tsuburaya came up with and supervised the creature design. 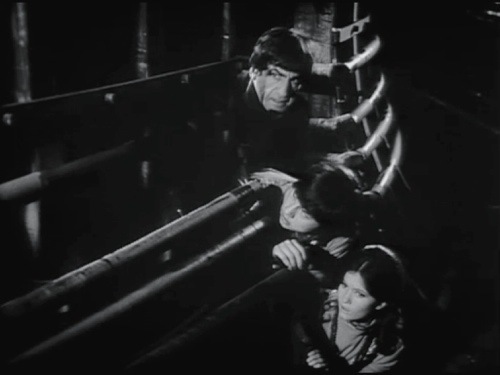 Several of the scenes remind me of King Kong (1933). 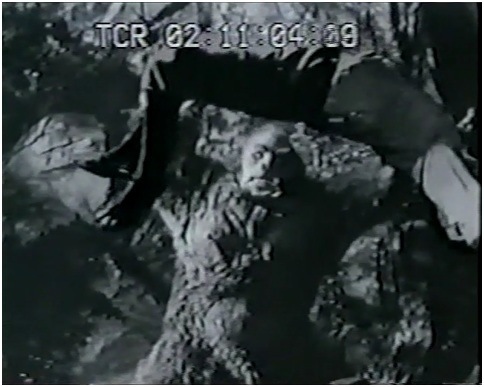 During one sequence a young man is bound and dangled from a cliff, tethered from a rope tied to a tree. The matte painting really strikes of Kong —looking like something rendered by Kong contributor and conceptual artist Mario Larrinaga. 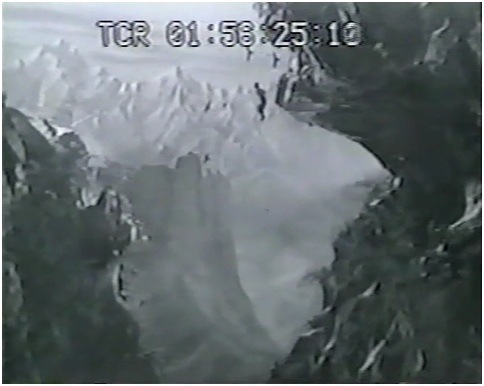 One scene has the half-human snowbeast rescuing the man dangling on the rope (right image, note arrow where the snowbeast is partially visible). Compare this to the scene with Kong pulling up Ann Darrow and Jack Driscoll! Eiji Tsuburaya noted that the movie King Kong inspired him as a technician and filmmaker. And here’s the snowbeast sequence (below), only the Yeti is just trying to help. I’m fairly certain Kong would’ve chewed up Driscoll. Half Human is no classic, but Kaiju and 50’s sci-fi/adventure film enthusiasts will probably like it. There are a few creepy sequences and overall I like the creature designs. This is the only Yeti creature in filmdom besides 1987’s Harry and the Hendersons to possess a receding hairline! S. Galbraith IV, 1994. Japanese Science Fiction, Fantasy and Horror Films, McFarland & Co., Inc. I found this made for TV monster thriller on a Mill Creek “12 Creature Features” DVD collection for $4.99 at Best Buy. It’s one of the better Bigfoot/Yeti films I’ve seen, but don’t confuse it with the stinker Snow Beast (2011). Snowbeast offers a good script by Joseph Stefano (The Outer Limits, Psycho), with a Yeti beast stalking guests and locals at a Colorado ski resort. The film wisely keeps the monster in shadows, with minor but effective glimpses of the shaggy creature. 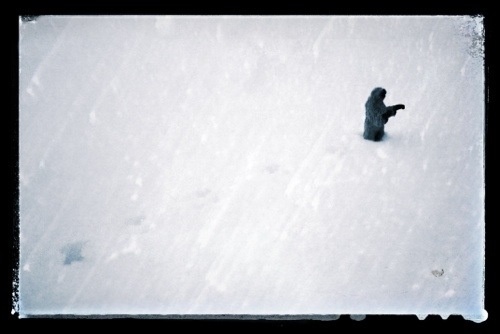 Think Wampa Snow Beast (The Empire Strikes Back). The film stars Bo Svenson as washed up gold medallist (Nordic event?) Gar Seberg, the beautiful Yvette Mimieux as his journalist wife, Robert Logan as resort owner Tony Ril, and big Clint Walker as Sheriff Paraday. When people start missing at a ski resort, the four set out to confront the hulking Snowbeast. Clint Walker is fun as the film’s “Guest Star” as the local Sheriff. He’s good whether he is battling Nazis, irradiated bulldozers or monstrous Grizzly bears. This film works because four likable and dissimilar people with limited skills set out to kill the beast. Jaws (1975) would’ve been different if ichthyologist Hooper was a journalist, and Quint knew nothing about sharks. In Snowbeast, the hero is a Nordic Combined gold medalist armed with a revolver and a ski pole. The Snowbeast up close. I like this monster suit and the choice to keep the beast in shadows. Snowy landscapes and mountain scenery also help the film, shot on location in Colorado. That’s a grimace… Overall, this is a fun and entertaining flick. Somehow I missed it growing up in the 70’s. They don’t make ‘me like they used to. Well, I have returned after a week hopping around Florida’s Theme Parks. I have to say I had a fun time, especially at Disney’s Epcot Center and Animal Kingdom. 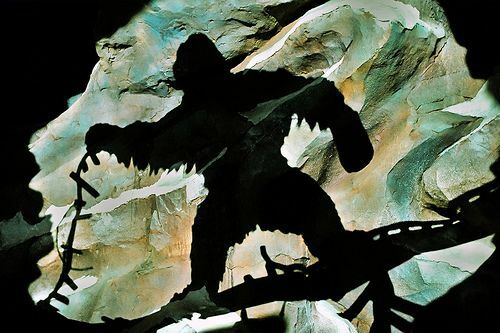 The highlight for me was probably Expedition Everest™ which takes you to the remote Himalayas on-board a rickety ratcheting railway car that climbs up and through a mountain pass to a possible encounter with a mysterious cryptid —The Yeti or the Abominable Snowman of the the East! This is a well-designed and entertaining exhibit. Gone are the old days of being stuck in lines, sweating to death for hellishly long boring stretches of time. The Disney imagineers have integrated the wait as part of the ride.